For the layperson who still might not have noticed the lingual-drift that’s caused these two words to mean so much more than we ever learned growing up, here’s are some helpful current real-world examples. For the month of September, Ben & Jerry’s is changing the name of their longstanding flavor Chubby Hubby to Hubby Hubby to celebrate Vermont’s recognition of marriage equality. 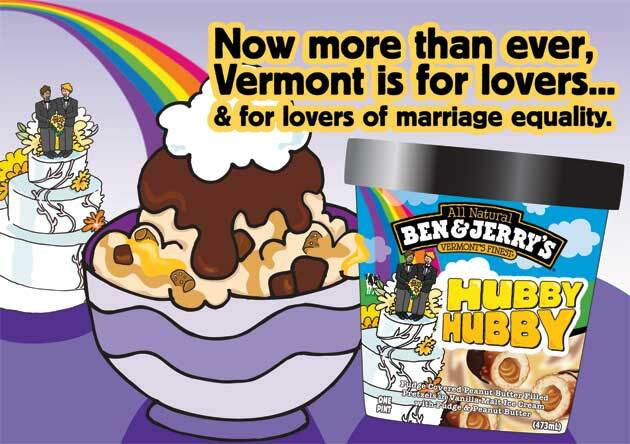 In partnership with Freedom to Marry, Ben & Jerry’s aims to raise awareness of the importance of marriage equality and, to show its support, will serve “Hubby Hubby” sundaes in Vermont Scoop Shops throughout the month of September. From 9:30pm 9/4 through closing on 9/7, WMATA/Metro is closing down three stations along the Yellow & Blue lines in Virginia. Metrorail riders in Virginia who are planning to ride the Blue or Yellow lines will need to transfer to a free shuttle bus if they want to pass through Pentagon City, Crystal City or the Ronald Reagan Washington National Airport Metrorail stations from 9:30 p.m., Friday, Sept. 4, through closing (midnight), Monday, Sept. 7. Shuttle bus service will be provided around the closed stations, but passengers should add 30 to 45 minutes of travel time to and from the airport “or they should consider using alternate transportation to the airport,” said Metro spokesman Steven Taubenkibel. …we are about to jump into hyperspace for the journey to Barnard Star. On arrival we will stay in dock for a seventy-two hour refit and no one’s to leave the ship during that time! I repeat, all planet leave is canceled! I’ve just had an unhappy love affair. So I don’t see why anyone else should have a good time. 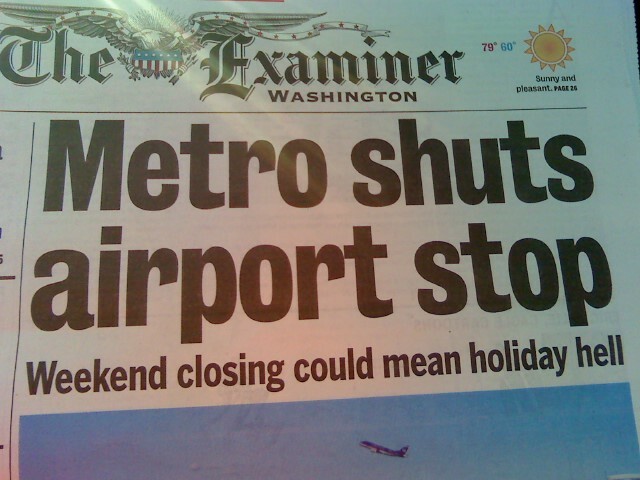 Examiner headline photo taken by theblackdog2071. Previous story food: RW is over, but the specials go on! I LOVE that Ben & Jerry’s is doing this. As for Metro, at least they announced it in advance. Last week when we Metro’d in for RW, we got stuck without Metro home. Nobody said anything… just no yellow trains for 40 minutes. Finally, I asked the station manager. He said he could lie but what would be the point–it would be another half hour before a yellow train arrived. We took a cab. .-= latest entry: "Happy talk, keep talkin’ happy talk" –South Pacific (Rodgers & Hammerstein) =-.